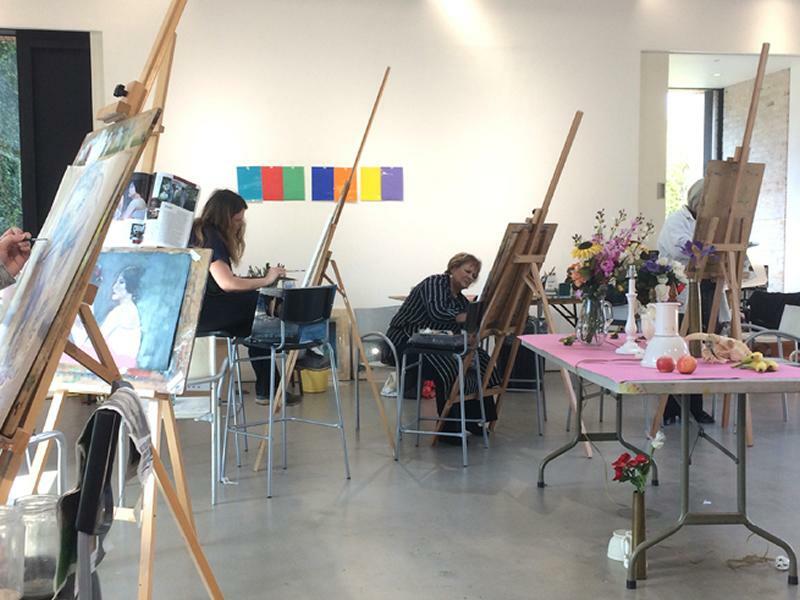 This evening course will encourage participants with some experience of drawing & painting to extend their skills, knowledge and theoretical understanding of fine art practices in a friendly, creative environment. The course content will be largely self-directed so you can select the genre/medium of your choice and develop different ways of working. With the advice and guidance of our professional arts tutor, you will be encouraged to experiment with new processes and different media and to reflect on your practice. The course is largely self-directed and the week to week progression depends on the individual projects being undertaken. The course is aimed at beginner-intermediate practitioners. Participants do not need to have a specific skill level but should be able to identify area(s) in which they wish to develop during contact time with the tutor and other participants in the studio. Progression could mean learning the technical skills to master a particular technique or subject matter using tips and tailored advice from Robert. It could be acquiring new skills and approaches with a particular medium, to work on different images, e.g. figure, landscape, collage in oil, or learning to use a breadth of media to work on particular types of images e.g. landscape painting in different media. While we take every opportunity to ensure the details for Drawing and Painting: Developing Practice are accurate, we always advise that you contact the event organiser before setting out for the event to avoid disapointment.